This week I went to Birmingham for the Advance HE STEM conference. This is a conference for people who teach STEM subjects in the UK, and also for people who are supporters of STEM research and teaching. It’s a two day conference and I think there were probably about 200 people there (although there might have been more). I went to a bunch of talks and workshops over the two days, mostly looking at inclusion. I’ll summarise a few of my favourite workshops in this blog post. If you’re interested I have a PDF which includes more detailed (but more scrappy) notes covering all the talks and workshops I attended. I went to the conference because I’d had a talk accepted on the Scientists Are Humans project. This is a project that grew out of STEM Gamechangers (previous blog post available on the BCSWomen site). Scientists Are Humans is a website aiming to improve diversity and inclusion through sharing human stories and tips about how to make STEM better. 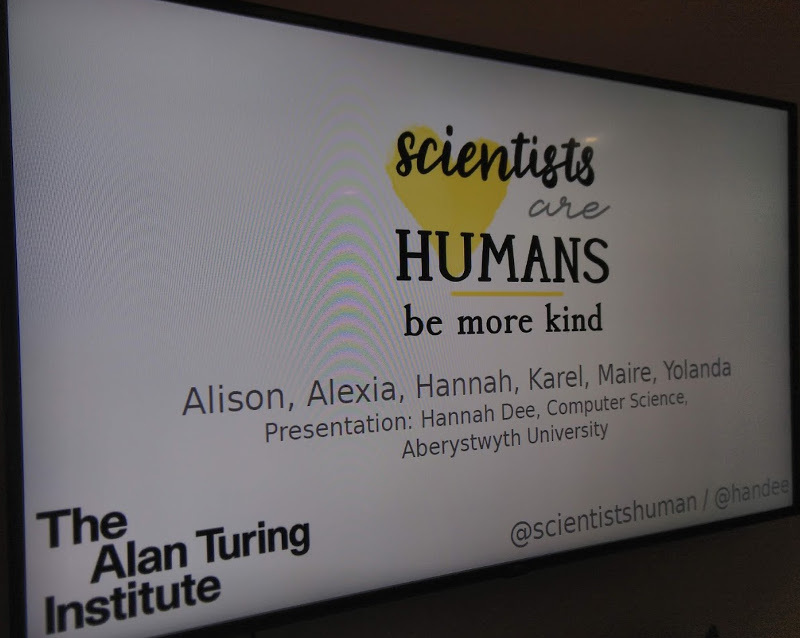 I’m one of the founding members of the team and you can find the slides from my talk about Scientists Are Humans linked here. My conference fees were funded by the Alan Turing Institute (thanks!) which was great as it meant I actually got to go to the conference. This talk described work which looked at where students sit in lecture theatres, and what that could tell you about the friendship groups and the co-working groups/pairs which emerge. For me this was the stand out best talk of the conference. Looking at where students choose to sit in a lecture theatre and then asking them why has provided some real insights into student behaviour. I thought that those who sit at the front were the ones who were keen but it turns out that there are excellent students sitting all over the place, for all sorts of reasons. I found this analysis very interesting – I found the subsequent analysis about groupwork even more interesting. They clustered the students and then found they could classify them into what they called “Dolphins” and “Swans”. Dolphins work in a pod and will choose pairs from within this small group; Swans form pairs and don’t work with anyone else. There’s more to it but that’s a quick summary. You can read a journal article about this work online at FEBS OpenBio. I stayed with a friend in Coventry as I didn’t have funds to get a hotel – this was actually a bit of a win-win because I’m not drinking at the moment, and conference dinners are rubbish if you’re on the wagon. 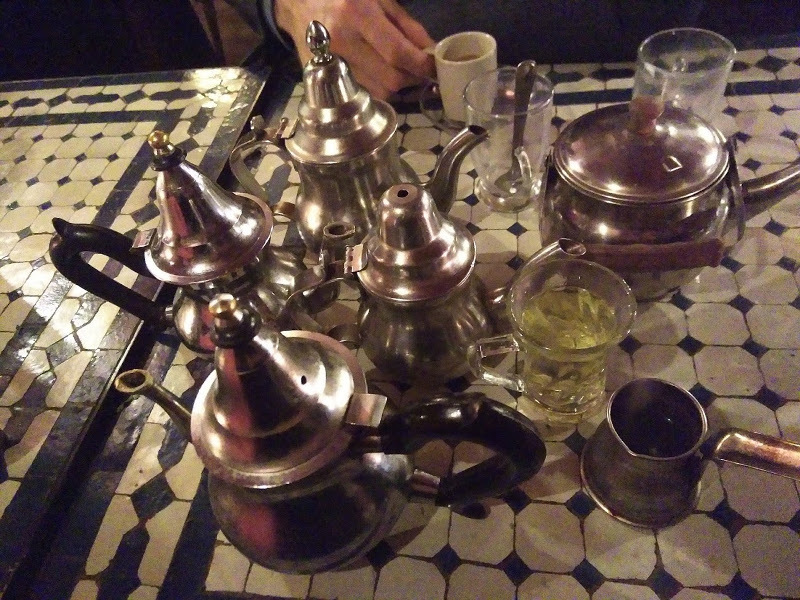 Also the conference dinner was £50 and I took some friends out for a nice Palestinian meal at Habibi in Coventry for £45 (set meal for three). I don’t know what the conference meal was but I bet it didn’t feature great humous and superb spicy potatoes. On day two, the talk which I found most illuminating came from Anne Nortcliffe & Roz Barley of Canterbury Christ Church University, and Jacqueline Stallard of Sheffeld Hallam University. The talk was entitled “How accessible is the STEM post-16 education provision in the UK, and what are the implications for the HE Computing and Engineering programmes’ pipeline?“. Which is a bit of a mouthful. 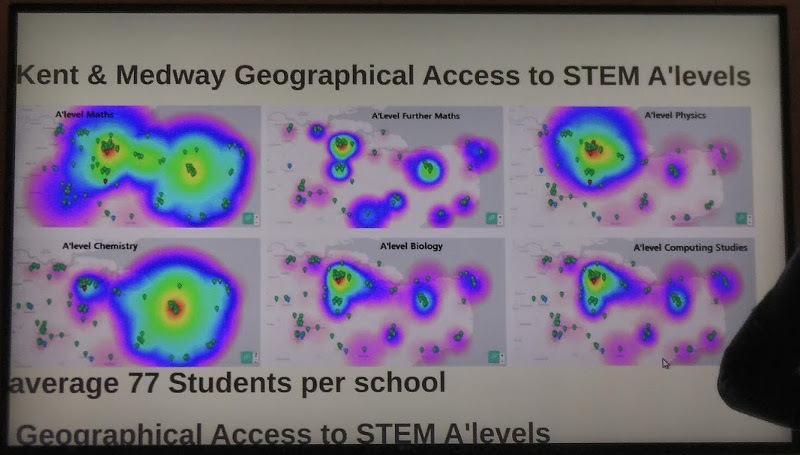 This looked at the pipeline into STEM courses particularly concentrating on the local areas feeding into Sheffield Hallam (South Yorkshire) and Canterbury Christ Church (Kent). Both Hallam and Canterbury Christ Church are local universities who pull from their immediate environs (“Local universities for local people“). We hear a lot about STEM A-levels and the low numbers of students doing them, what we hear less about is the spatial distribution of these qualifications. The slide I photographed and include below was a real shock to me; I hadn’t thought about the problems of growing up in an area where certain A-levels were simply not offered; I knew that computing didn’t have particularly good penetration but I hadn’t realised that e.g physics was similarly sparse. 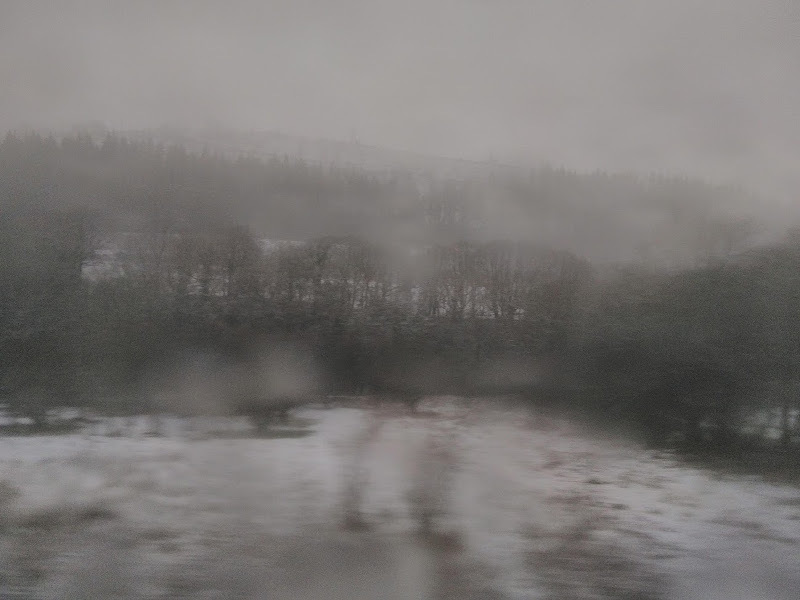 My talk was the last talk before the closing plenary on the last day, and I had to dash at the end of it (trains to Wales were about to be stopped due to weather stuff). I think it went well, and there were a few comments and questions which showed that most people managed to stay awake. You can see the slides here: http://www.hannahdee.eu/p/heconf/sah-advance-he.pdf.